If you’re like me, you’ve enjoyed creating your own art on an Etch A Sketch®. Turn the knobs, create a “magic screen”-full of art, then shake it up and start all over again. 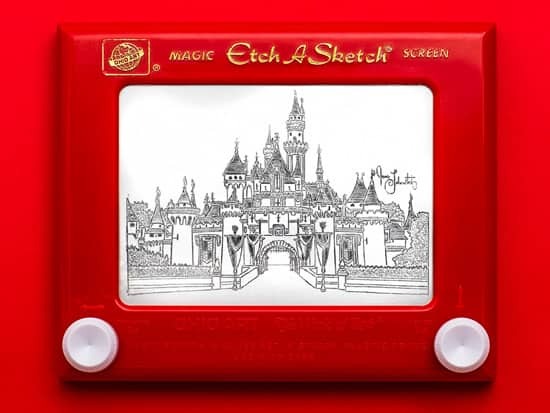 Never in my wildest dreams, though, could I imagine completing Etch A Sketch drawings like those created by Jane Labowitch. Today, we’re debuting two pieces Jane created especially for Disney Parks — Sleeping Beauty Castle at Disneyland Resort and Cinderella Castle at Walt Disney World Resort — as our newest wallpaper downloads for you to enjoy. 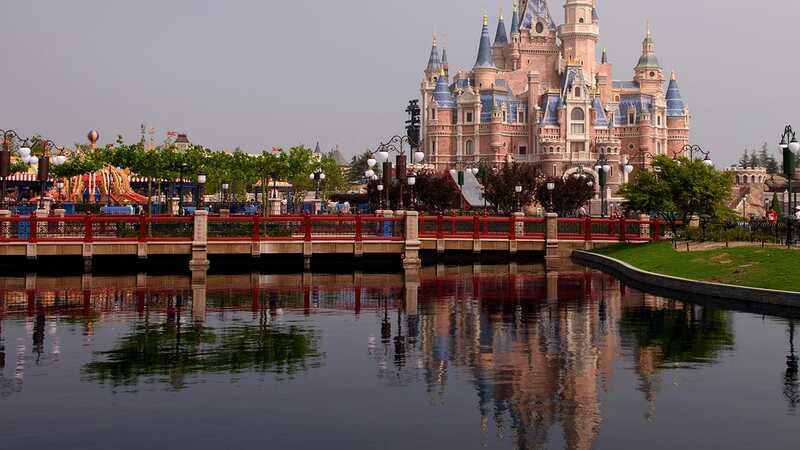 Using Yellow Shoes Creative Group’s photo studio, Disney Parks Blog author and photographer Matt Stroshane shot these images to insure they look as nice on screen as they do in person. But rest assured, no photo manipulation or post-production editing took place to create any part of this artwork. 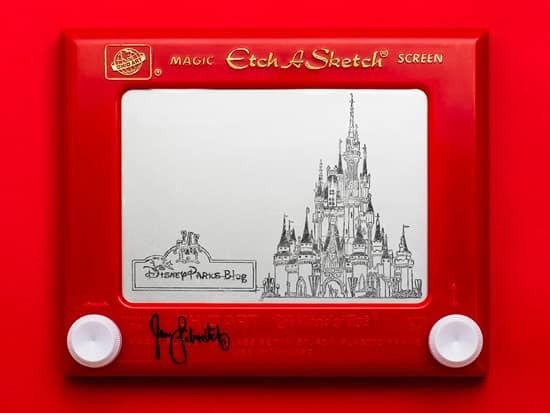 All of the work you see is a result of Jane’s single-line drawing on the famous toy. We hope you enjoy her work as much as we do. We’ve also included a gallery of images that Jane shot as she worked. Also included: a few close-ups, to give you a better look at the details of her intricate art. And just in case you’re wondering, Jane’s favorite character in a Disney or Disney●Pixar film? No, not Aladdin. It’s “Etch,” who shared Andy’s room with the “Toy Story” gang and always was “fast on the draw” with his good pal Woody! The Etch A Sketch® product name and configuration of the Etch A Sketch® product are registered trademarks owned by The Ohio Art Company. These are unbelievable!!! She has amazing talent. I donwnloaded both and now need to decide which one goes on my screen first. Thank you for sharing these. That is incredible! I started out drawing staircases as well but, I only graduated to boxy buildings! Now, I know you Gary… please let me know if she’s done one of the Death Star? Great post! I’ll be sending this over to all my buddies! That talent comes from Pixie Dust! Just Magical!